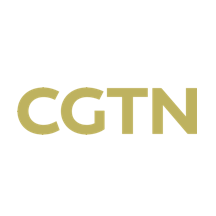 CCTV News is a 24-hour English news channel, of China Central Television (CCTV), based in Beijing. The channel grew out of CCTV International, which was launched on 15 September 2000. CCTV News coverage includes newscasts, in-depth reports, and commentary programs, as well as feature presentations. Its Free-to-air satellite signal can be received by more than 85 million viewers, in over 100 countries and regions. It is also carried by Cable, DTH, IPTV, and Terrestrial TV platforms or systems in many nations. It caters to a global English-speaking audience, including overseas Chinese and English speakers in China. CCTV News usually airs a live news bulletin in the first half of each hour. As well as a generic news program, there are specialist bulletins focusing on Chinese and Asian news, such as China 24 and business news BIZ ASIA. Programming in the second half of each hour includes, sports bulletins, a travel show called Travelogue which takes viewers to destinations around China and the world, and magazines covering the arts, science and sports.